Various car seats are available that can safely handle your precious baby. Among those, Diono Radian is a powerful convertible booster car seat. It has gained its popularity on parents throughout the years. Diono Radian is providing customers with premium safety features that it can offer. Still, Diono Radian faced its new rival coming from the same family of Diono Convertible-Booster Car Seats. That is Diono Rainier, a newly released brother of Diono Radian with its new and improved features. This will highlight the differences between Diono Radian RXT and Diono Rainier. With the improvements applied to the new Diono Rainer, is it worth it compared to Diono Radian RXT? Diono Radian family of car seats are the only all-in-one car seats. It has a full frame made of steel that qualifies it as the safest car seats available today. Diono Radian RXT can handle a wide range of weights that make it suitable for longer use as your child grows. It can accommodate weights for up to 120 pounds in its booster mode. Diono Rainier is the advancement of Diono Radian in terms of features and usability. Like Diono Radian, it has a full steel frame that makes it the ultimate car seat safety with unmatch protection and durability. It can accommodate an improved range of weights in its other arrangements but its maximum weight in its booster mode is also 120 pounds. Even though, it is suitable for longer use because of its wide range of weights that are common in Diono car seats. What Is Diono Radian RXT? Diono Radian RXT has a full steel frame foundation that proves its durability and a crash force absorbing function with reinforced sidewalls and head support. It gives an excellent side impact shield with extra support from the harness. Radian RXT is manufactured by Diono, a leading car seat safety provider that earned the trust of customers throughout the years. 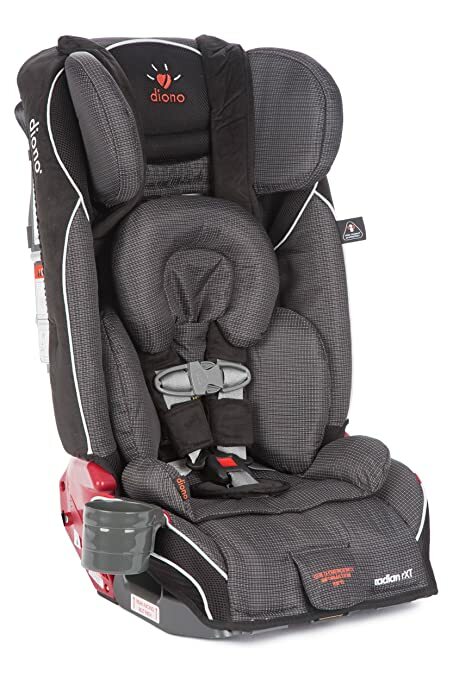 Overall, Diono Radian RXT is a very good car seat safety. It accommodates a lot of weights making the price reasonable. Who Should Buy Diono Radian RXT? 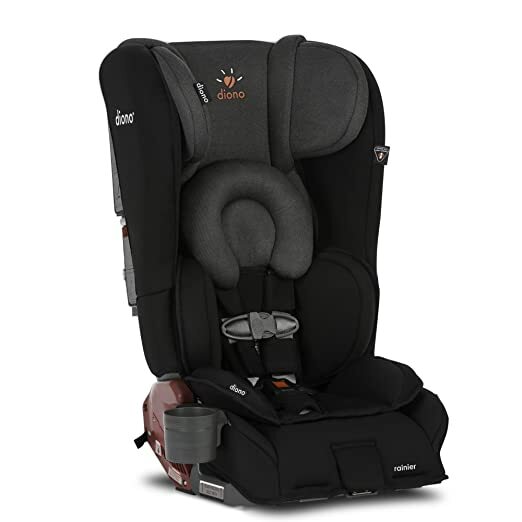 Diono Radian RXT is a popular car seat for parents. This car seat is perfect for you baby or child to have a very comfortable and safe car seat every time you travel. Diono Reinier is an improvement of Diono Radian RXT in terms of weight range and other features. However, these improvements are quite minimal compared to the additional price. Reinier is also manufactured by Diono, a leading car seat safety provider that earned the trust of customers throughout the years. Overall, Diono Reinier is a better car seat safety than Diono Radian RXT. It accommodates a lot of weights making the price reasonable. If those upgrades is a perfect fit for your needs, then this is a better choice. Who Should Buy Diono Reinier? Diono Reinier is a popular car seat for parents. This car seat is perfect for you baby or child to have a very comfortable and safe car seat every time you travel. Both Radian RXT and Reinier are FAA approved and it can be used on aircraft. The product can be purchased at Amazon with free shipping to some countries. Depending on your location, it may take a while to import. Diono is a brand that has earned the trust of many customers. Many users testified that this is a worth it product to buy. Both products have clearly proved their worth even if they are quite expensive. Because of their extended weight range, both their price is reasonable. However, if you will look closely, there is not much difference between the two, except the additional weight range for the infant and convertible seats. If you don’t need that extra weight range for your infant, then you can go for Diono Radian RXT. Paying for an additional weight range that you will never use is just a waste. But if you know that your child is a perfect fit for that weight range, then you have to buy Diono Reinier. Either way, both car seats are helpful. They prove that care safety seats are a worth it investment for you and your child.